Stimulate ideas by displaying the poster in different play areas; for example, water play (laminate the poster first), small world, mark-making and creative workshop. Encourage close observation of the images by displaying questions alongside the poster. 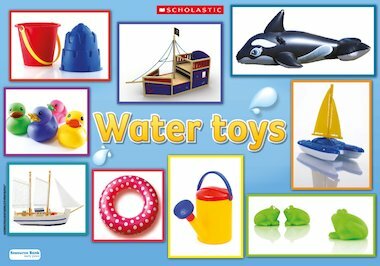 Use the ‘Water toys circle-time cards’ (also available in our web resource bank) for further discussion and for sorting, matching and counting games.